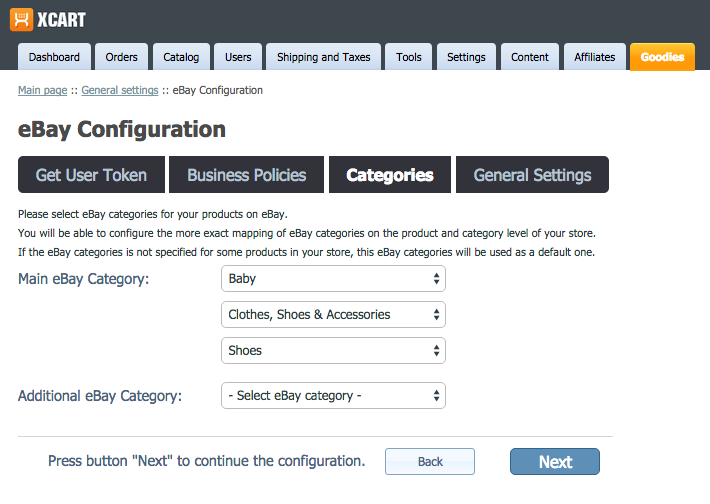 Connect your store in minutes and manage your eBay listings in seconds. One by one or in bulk, manually or automatically: send and update products, variants, images, descriptions and prices. 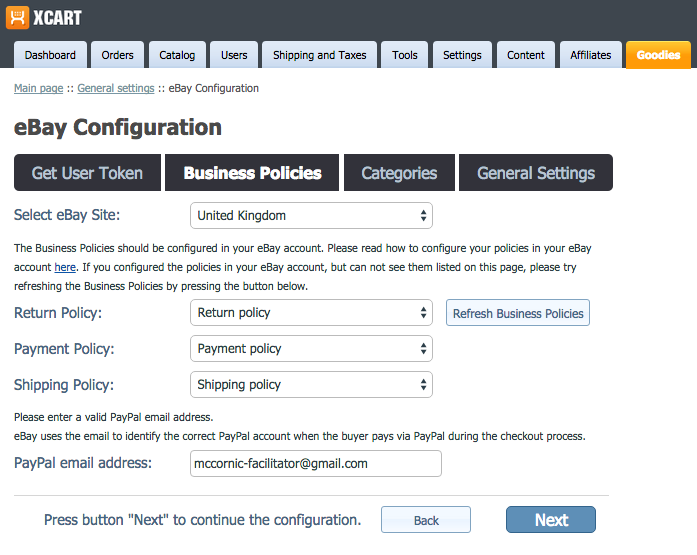 Import orders back to X-Cart and manage them in the X-Cart admin area. Product title, image, description, quantity in stock, price, product variants and attributes. 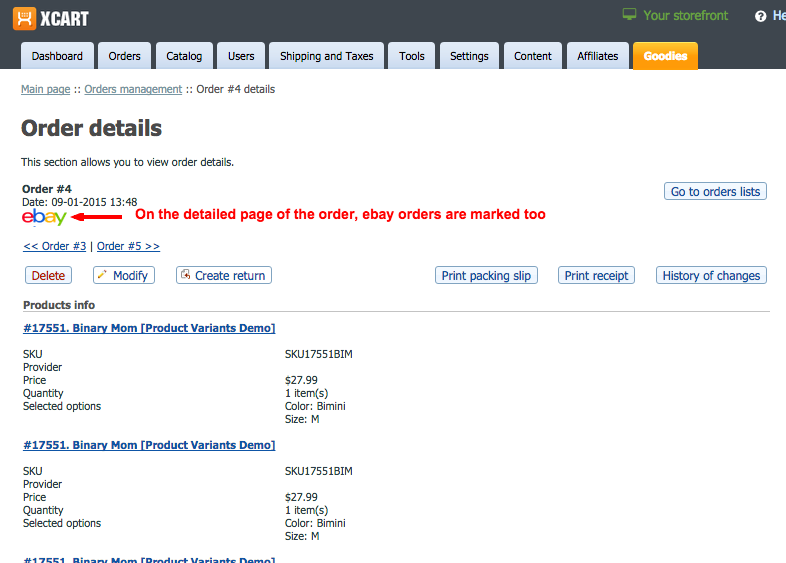 Updates to products in X-Cart catalog will apply to these products on eBay and vice versa. 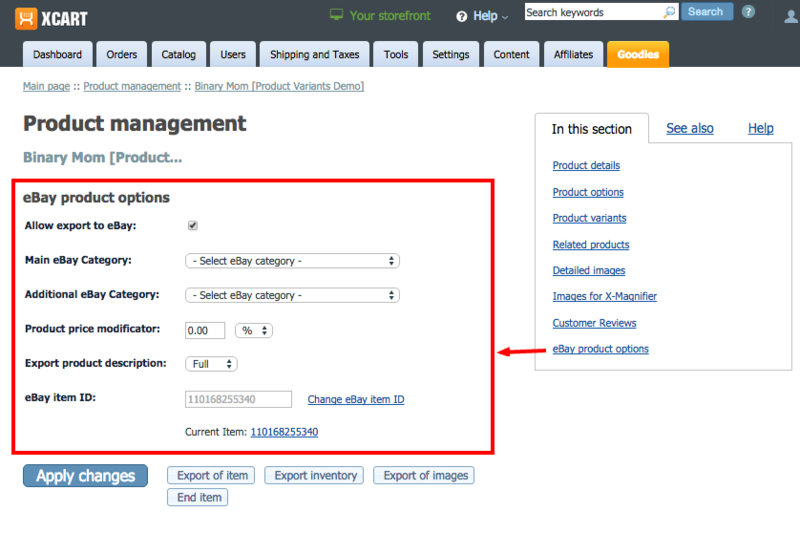 You can set a default option, as well as improve product mapping by specifying it on the category and even product level. Want to sell at a higher or at a lower price? Use this setting, supporting positive and negative values, that can be absolute and percent-based. 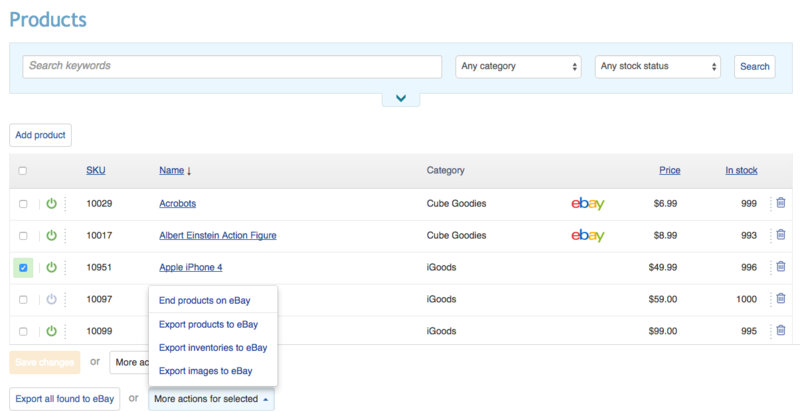 Search for products in X-Cart, tick all or particular ones and update them in bulk or manage your eBay listing from the product modify page in X-Cart backend. 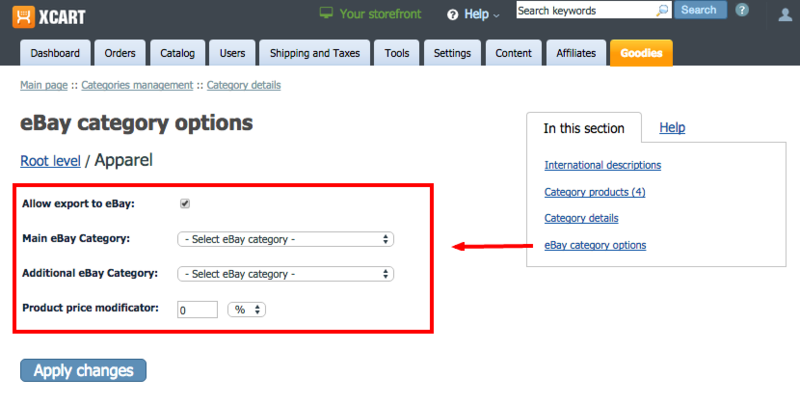 Export orders from eBay and import them into your X-Cart store. Total, subtotal, tax and shipping cost are imported. 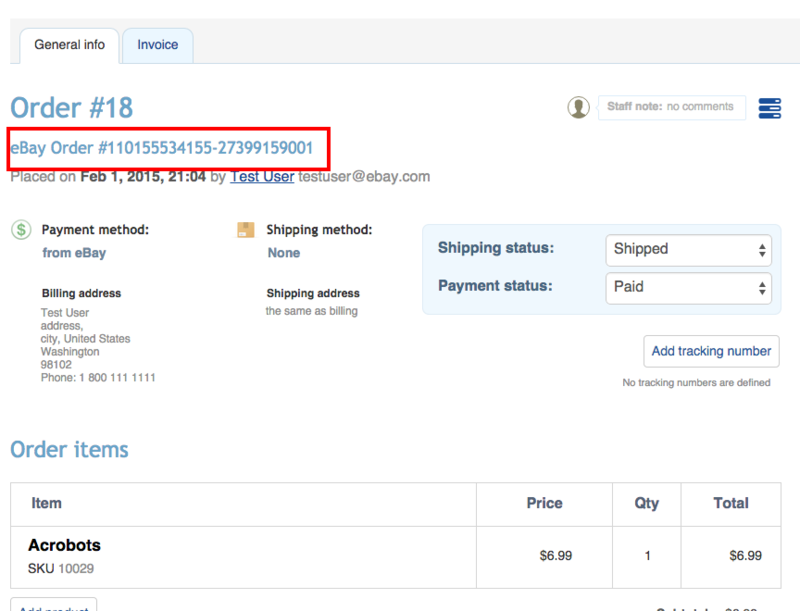 Change the order status to "Shipped" and assign the tracking number in X-Cart, and see the order updated on eBay accordingly. 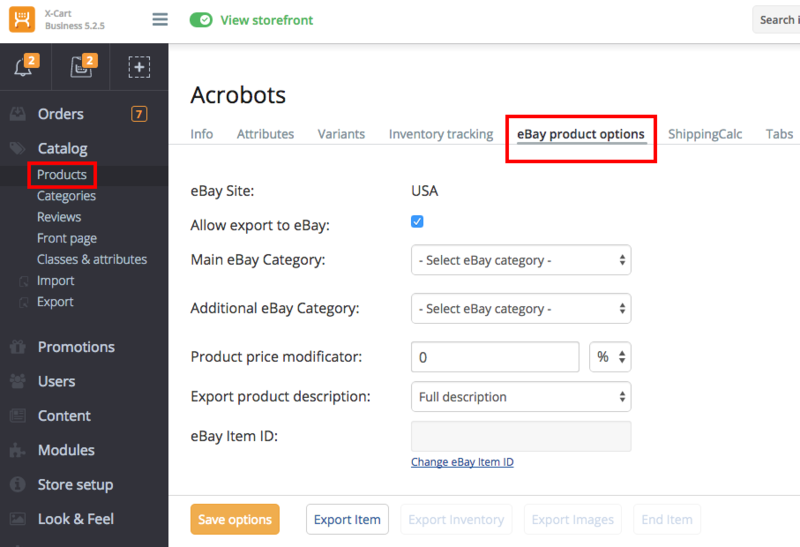 You can update your products and import orders from eBay by cron, according to the schedule: hourly, every 12 hours, daily or with whatever interval you like. 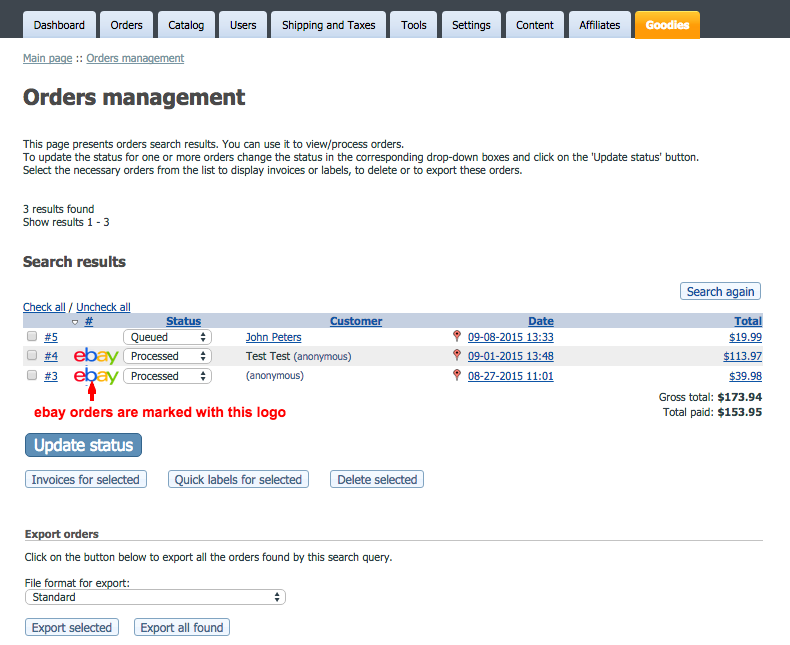 Customer's name and address from eBay will be available in X-Cart admin backend. To begin with this module was a serious worry, there were various problems which made it unusable for us, but after considering all our options and taking into account our knowledge gained using other ebay modules (ecommerce and and standalone desktop software), we took the decision to give this module another go, we spoke with qualiteam support detailing the concerns we had which covered all the areas we would need working to be able to list in the automotive categories on ebay and qualiteam has delivered, within a short time frame too. 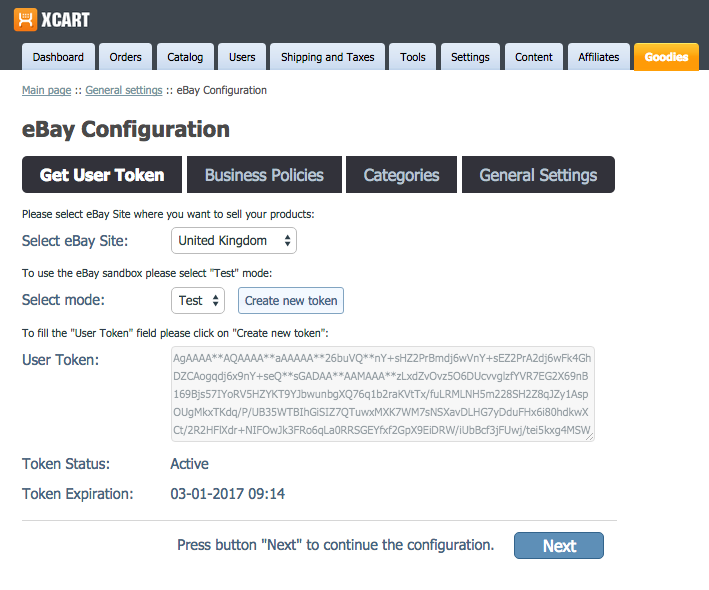 Having the ebay module integrated with x-cart is major advantage when it comes to listing on ebay as it saves a great deal of time adding new listings and maintaining existing listings. Would I now recommend this module to anyone else.. absolutely. 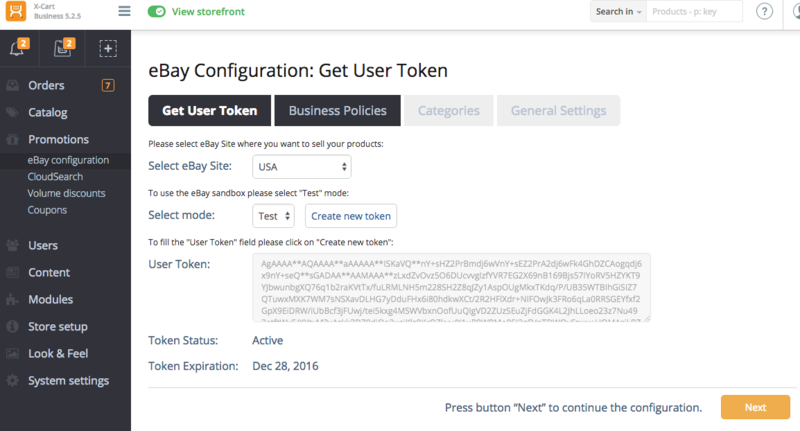 We like the idea of the eBay module, but we used 300 'requests' without getting but a few items listed for a few days, with zero orders. 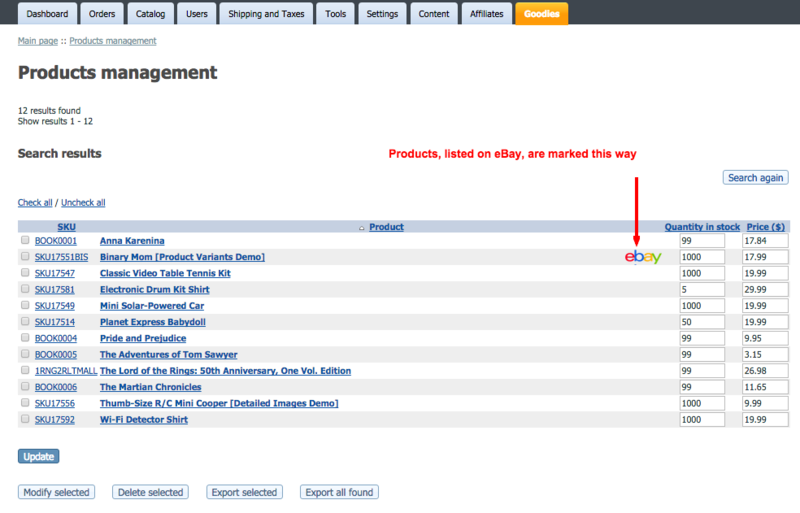 This eBay pricing module should have a step between the SMALL (100 products) and the MEDIUM (2,500 products) - like maybe a $49.99 Monthly plan with 1000 products, or $499 year. Even that sounds high, in light of the fact we're now paying several monthly 'subscription' fees for X-Cart modules. Our business would have to sell hundreds upon hundreds of eBay items to OFF-SET a $799 yearly fee. It is clearly prohibitive for our application. 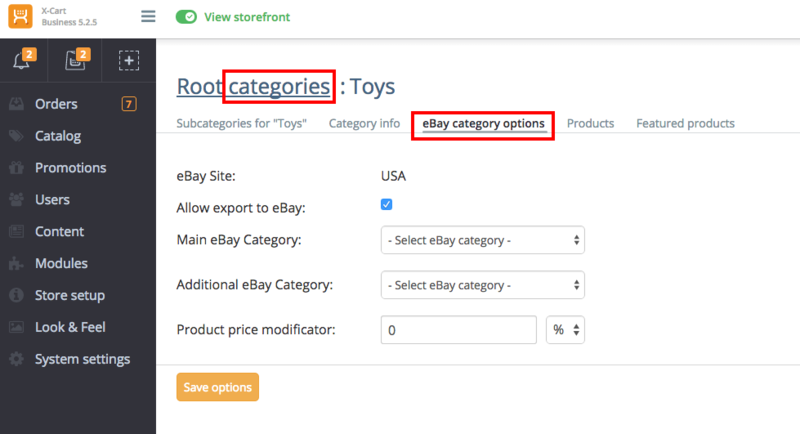 The module also requires that you use existing eBay categories, or you must setup eBay categories for your products and products with variations need to be setup manually.